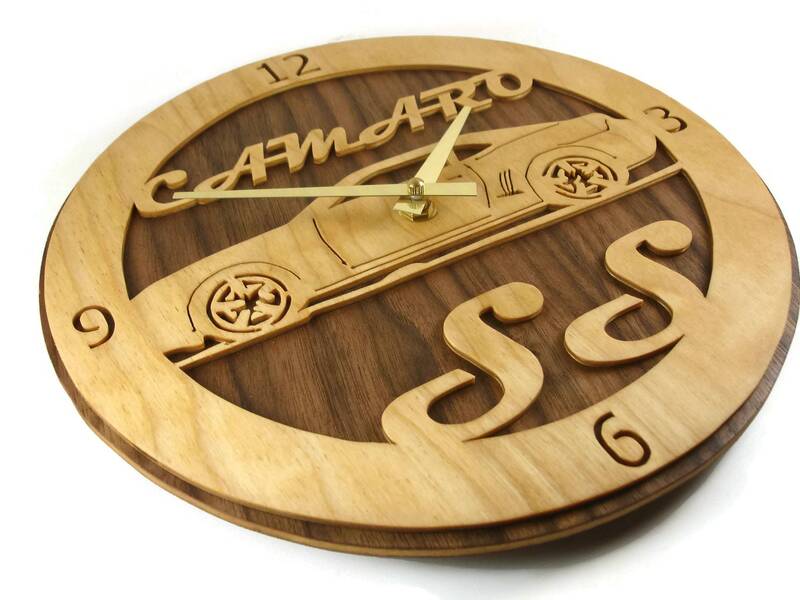 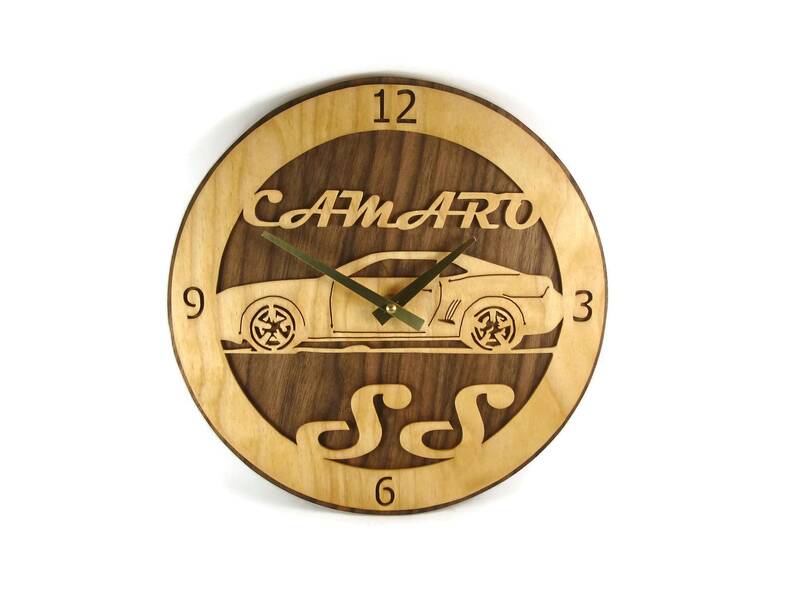 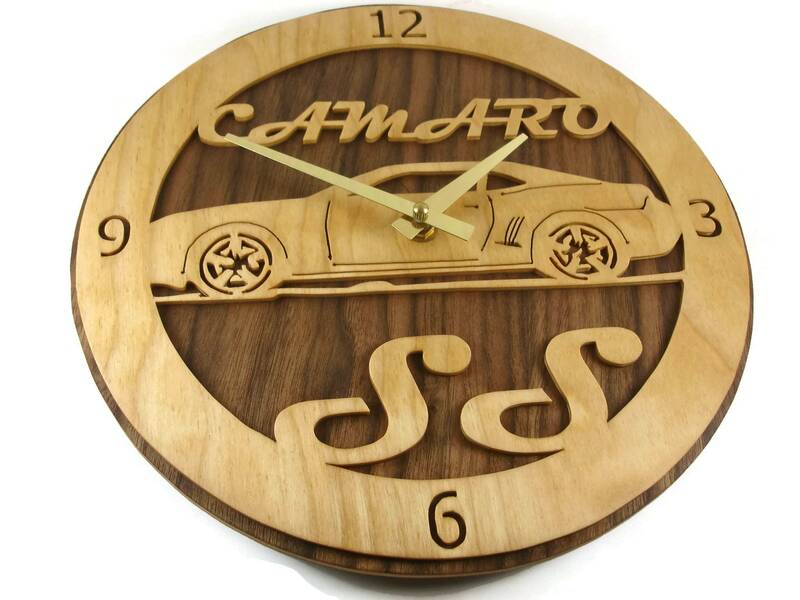 This wall art clock is the perfect gift for any car enthusiast but specifically those that are Chevy Camaro SS Enthusiast.. 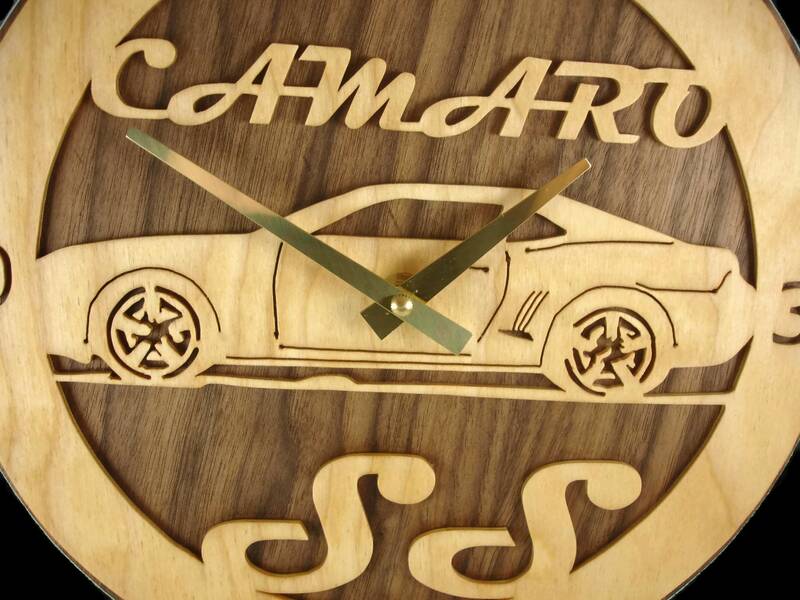 This wall hanging art with a function was cut by hand from 1/8 inch thick birch plywood using a scroll saw and then glued to the 1/4 inch thick Walnut back board. 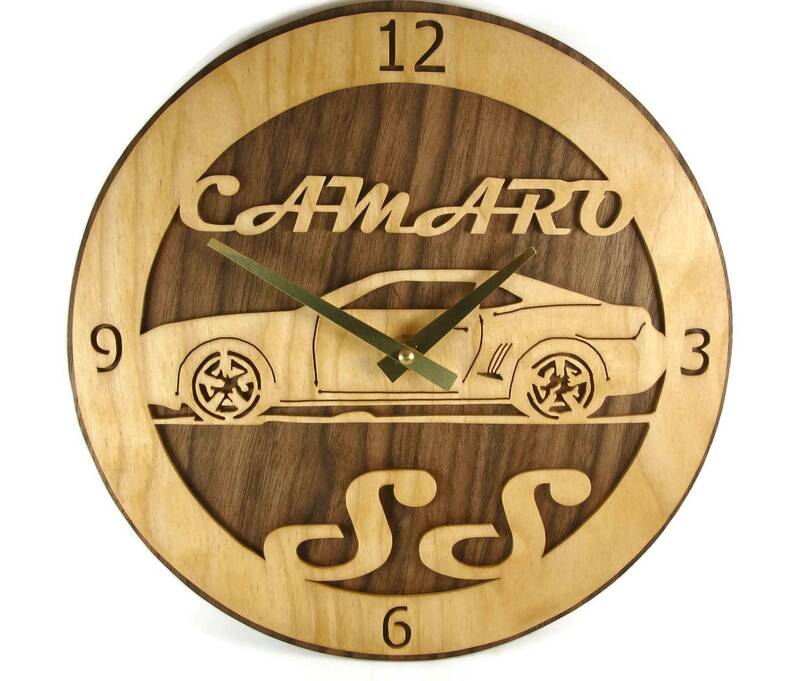 This features a 2010 style SS Camaro and above the car is the word Camaro and below the car is the SS signature. 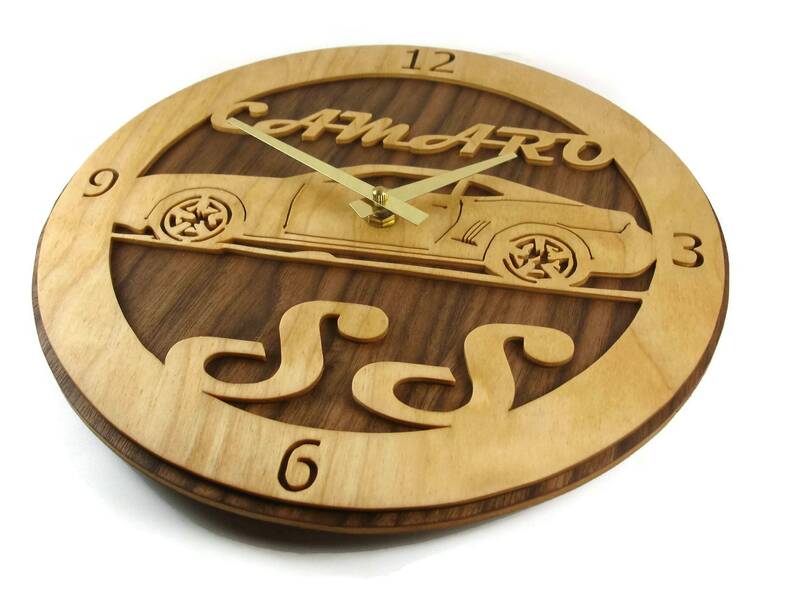 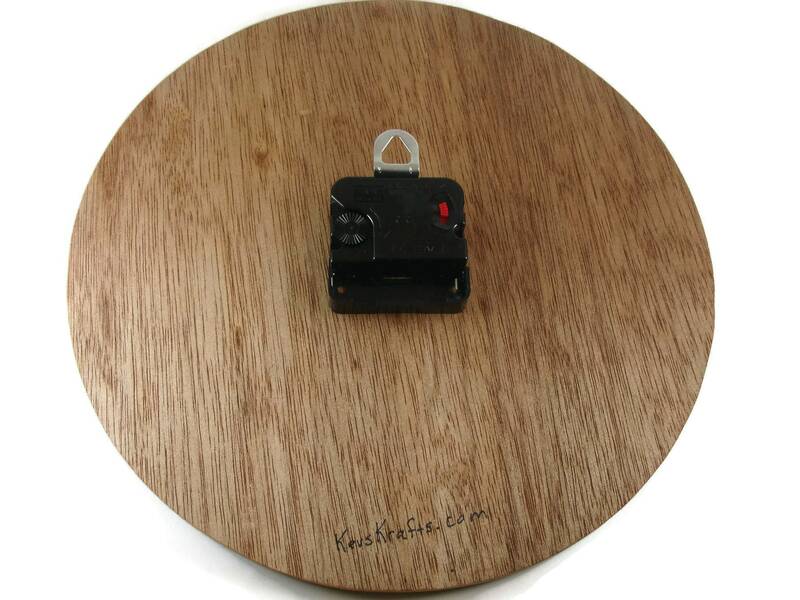 There is a metal hanger on the back ( part of the clock motor mount ) for ease of hanging this on your wall. 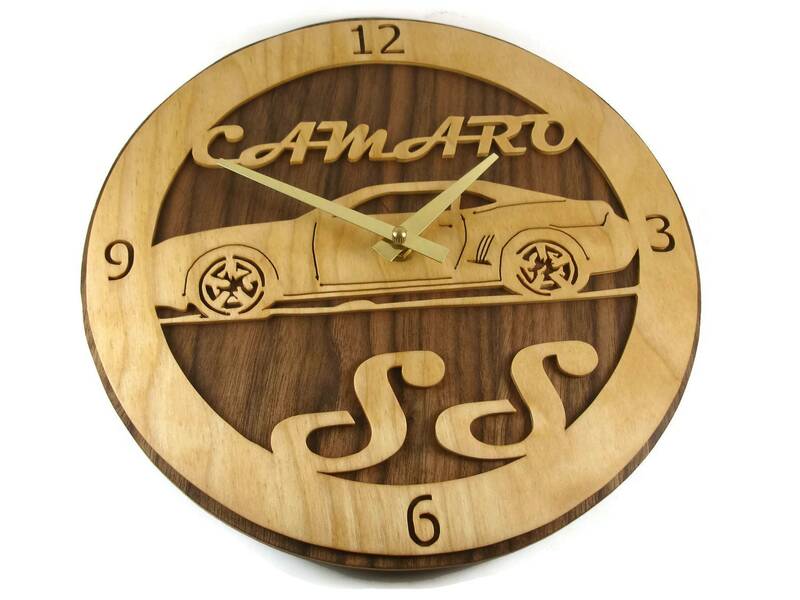 This is finished with a natural color Danish oil for a durable long lasting beauty for many years of enjoyment..